In Zurich, you can find within the smallest of areas international names, luxury brands, Swiss products and an ever increasing number of young labels that focus on sustainable production. 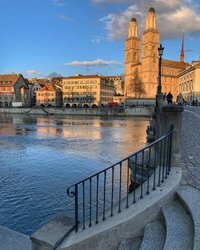 Each quarter of the city offers its own unique shopping experience: from the finest chocolate, watches and jewelry on the famous Bahnhofstrasse, to trendy and traditional stores in the Old Town, through to local, urban labels in Zurich-West. 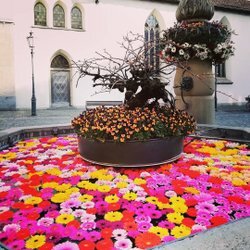 In summer, the many weekly markets in Zurich and region sell flowers, vegetables, local specialties and second-hand treasures. In winter, meanwhile, shoppers are enchanted by diverse Christmas markets. Most stores are open from Monday to Friday between 9.00am and 8.00pm. Smaller outlets often close at 6.30pm. On Saturdays, the majority of shops are open for business from 9.00am – 5.00pm. 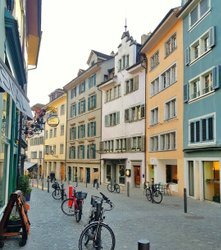 On Sundays, you can shop in the 135 outlets at Zurich Main Train Station or at the 60 stores at the Airport. These are brands and originals from Zurich that enhance our lives. Europaallee attracts visitors with a vibrant mix of shopping, restaurants and bars.